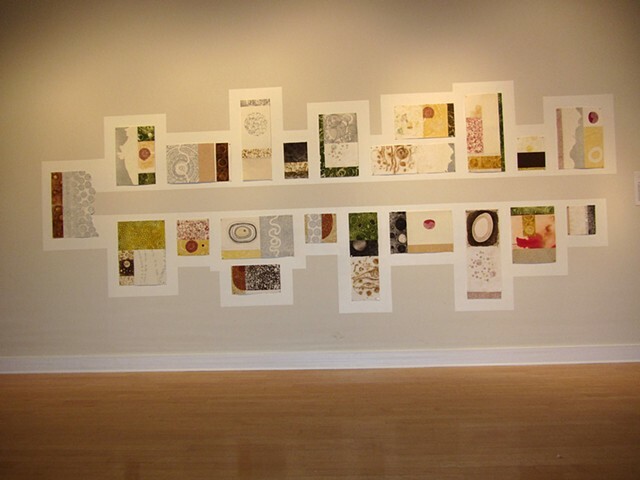 The exhibition titled, “Gathering”, consisted of Potluck Series of print collages, which celebrates the diverse uniqueness’s we share as individuals. The works were displayed in a dinner table/last supper format. These mixed media/collage vary in size and utilize diverse print processes symbolically bringing together our complex yet basic need to coexist.